Coming off another diseased chapter in the Minnesota Vikings season, at least fans of professional Minnesota sports have something to celebrate today. Gov. Tim Pawlenty has declared today “Ron Gardenhire Day” in the state of Minnesota. This caps off what has been an incredible week for the Minnesota Twins manager after winning his first ever AL Manager of the Year award last week. The day after Gardenhire won the award he was given a two-year contract extension that keeps him at the helm through 2013. Gardenhire has a career winning percentage of .550 with a record of 803-656. So everyone enjoy the day and show a little hustle and scrapiness for Gardy today. 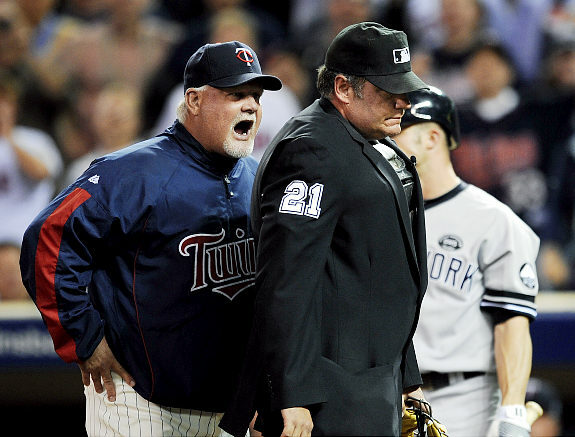 HAPPY RON GARDENHIRE DAY MINNESOTA! !